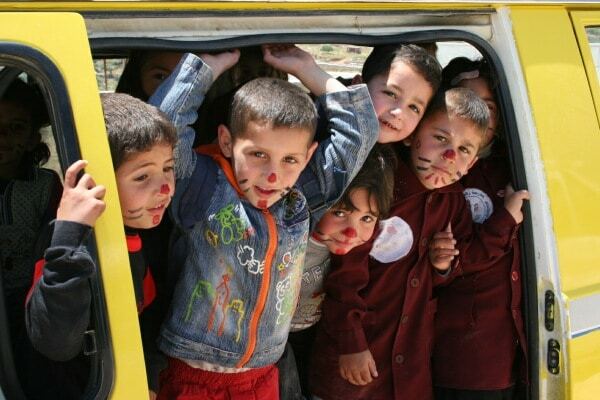 Children of Peace is a non-partisan children’s charity organization dedicated to building trust, friendship and reconciliation between Israeli and Palestinian children, aged 4 - 17, and their communities. Our aim is to develop a shared spirit via arts, education, health and sports programmes; so future generations might live and work peacefully side-by-side. We believe in working for peace. That's why we don’t take sides. "The UK is committed to promoting peace and stability in the Middle East. To deliver this, it is vital that we encourage a culture of co-existence between young Israelis and Palestinians. Charities such as Children of Peace play a vital role in improving understanding between different communities and faiths, helping to ensure long-term peace. I commend your work and wish you continued success in the future." "I am encouraged by Children of Peace in their commitment against anti-Semitism and Islamophobia. This organisation is taking a step in the right direction by passing down inclusive values to the next generation. ... I commend Children of Peace for their work in this area." "The Holy Father will remember your intentions in his prayers and he invokes upon you God's blessings of joy and peace." Professor Hassassian said, "It gives me a great honour to support Children of Peace, an organization that works to alleviate the misery of children and which hopes to lay the foundations of reconciliation, harmony and peace by striving to create an environment for coexistence, cohabitation and conviviality between Palestinians and Israelis. I wish them all the success in their noble mission of securing peace for all." 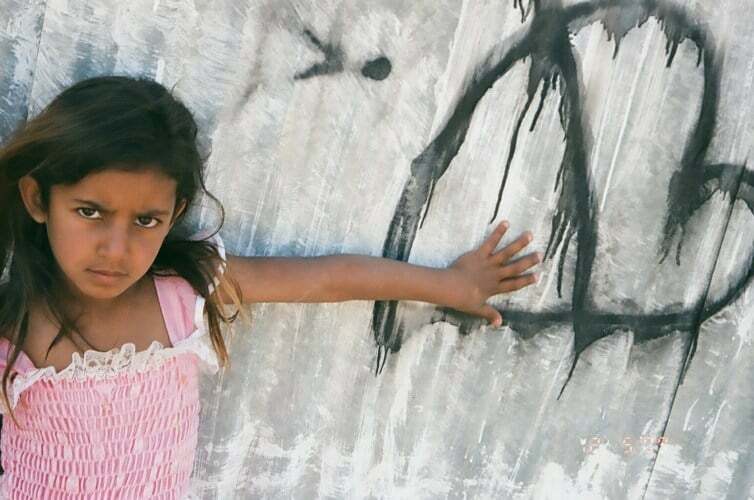 "As your organization has recognized, children are often overlooked victims of violent conflict, and too few efforts are focused on their particular needs. Generations of Israeli and Palestinian children have grown up with peace as an elusive dream. Supporting the Israeli-Palestinian peace process requires grassroots reconciliation through the mobilization of non-governmental organizations such as Children of Peace. I wish Children of Peace the best success in all of its endeavors as it continues to grow." 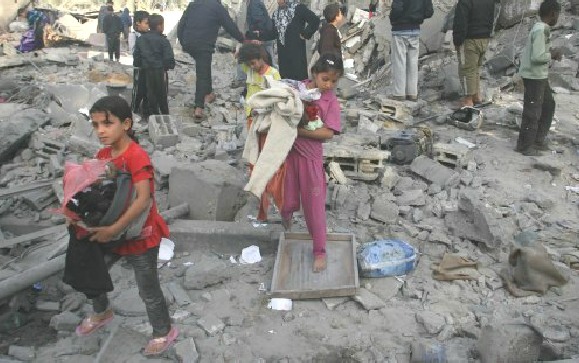 The forgotten victims of the Middle East conflict are the children. Many live in a perpetual war zone, frightened and stressed by the uncertain outcome of arbitrary violence. Children from both communities have lost loved ones, experience extreme anxiety, suffer from mental and physical health problems and have worryingly high levels of childhood disease and illness. For us, protecting the children is the real and best hope for the future. It’s the children who can make the first steps on any roadmap to peace. Caught up in the endless cycle of violence are the ordinary people from both communities who yearn for dignity, justice, prosperity and a peaceful existence. We believe that change for the better will come and it will come from the grassroots – through shared experiences, projects and programmes which are designed to overcome suspicion, mistrust and fear. Children of Peace was established to offer a fresh, non-partisan approach to conflict resolution in the Middle East. Children of Peace is a UK based charity that works with both Israeli and Palestinian children to build positive relationships for a future generation, whose communities might live and work in peace, side-by-side. 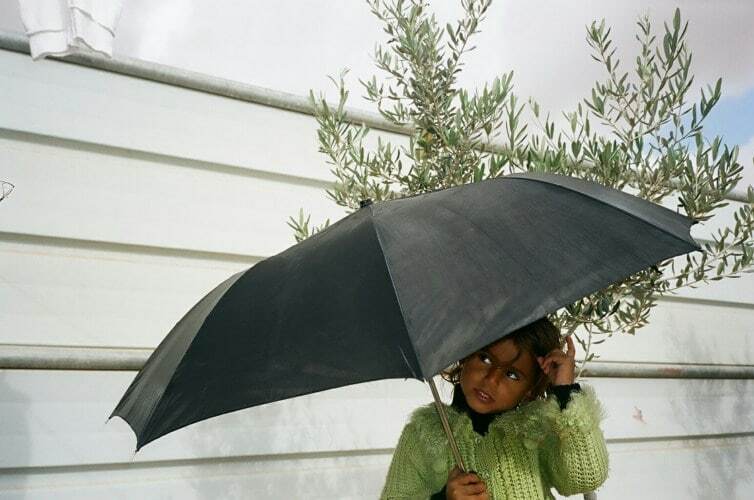 Children of Peace seeks to protect all of the children and their communities in Israel and Palestine – regardless of culture, faith, gender or heritage. We do this by acting as a non-partisan intermediary and by focusing upon building alliances with like-minded organizations. These are in Bahrain, Egypt, Gaza, Israel, Jordan, Lebanon, Morocco, Turkey and the West Bank. 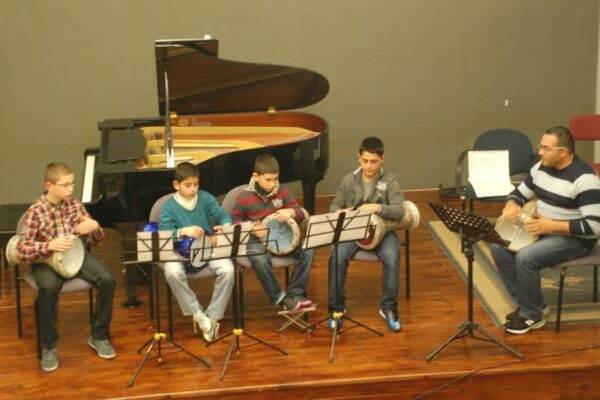 We achieve this through coexistence projects and programmes in the arts, education, health and sports for Israeli and Palestinian children, aged 4 – 17 years. As a grant-making agency we will only fund projects with organizations that have been accepted as affiliates or preferred partners and are part of our network of like-minded organizations – the Coalition of Peace. The Coalition of Peace is the single, largest peace network across the Middle East and North Africa. Affiliates within the Coalition of Peace must share our principles of the protection of all children, conflict resolution, peaceful co-existence, co-operation between communities and respect for the faith, heritage, history, narrative and values of each community in the Middle East. Palestinian and Israeli children are paying a heavy and disproportionate price for the regional conflict – those who are not killed or injured live in a chronic state of anxiety, both about the present situation and what the future holds. As an independent charity, Children of Peace relies on the generosity of donations to keep its valuable work going and it receives no income from any other sources. Children of Peace has helped numerous grassroots Community Based Organisations and Non Governmental Organisations in Gaza, Israel and the West Bank. All groups are either Affiliates or Partners. The funding has assisted regional arts, education, health and sports projects – from funding children’s soccer teams to helping with core funding; from helping to buy musical instruments to carrying out important research on child health issues. Since our foundation in 2005, we are proud to have helped fund the groups and organizations listed on the right. The Hope Flowers School is an example of just one of the projects Children of peace supports. It was founded in 1984 by Hussein Issa, a Palestinian refugee. The school operates with an educational philosophy dedicated to peace and democratic education. Hussein thought that the Palestinian-Israeli conflict could be solved non-violently only if Palestinian’s create new generation believing in peace, coexistence and respect for each other’s rights. 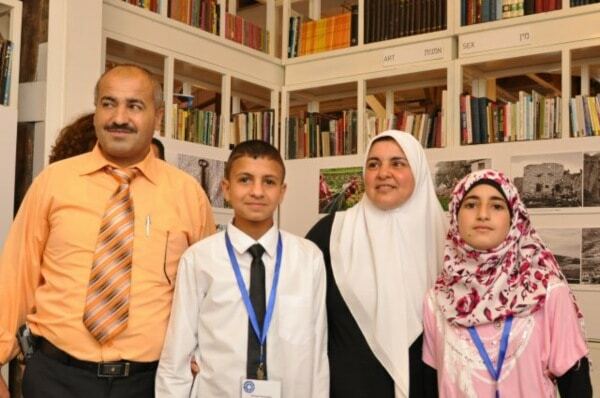 Hussein believed that, if Palestinian and Israeli children should be brought together from early on in their lives, teaching them to move beyond fear and stereotyping resulting from years of conflict. Then we would create a generation of Palestinians and Israelis who would bring a peaceful resolution to the conflict. The Founder and President of Children of Peace, it is Richard’s vision that is helping to change so many people’s lives for the better. His inspired leadership has brought together many individuals and organizations who share his fresh approach to conflict resolution in the Middle East. Formerly Managing Director of a leading international advertising, marketing and public relations consultancy, Richard now runs his own consultancy. Prior to that he acted as a consultant to the BBC, was Coordinator of Film and Television Management Studies at university level, a Justice of the Peace in East Sussex and a senior adviser to an antiracist NGO. Richard is married, with two children and two grandchildren. As one of the founding Trustees for Children of Peace, Claire has given up her time to oversee the accounts department of the charity since day one. She is the Senior Partner of Sussex based Bookkeeping Practice and Training Consultancy, Team 4 Solutions. Before setting up her own business 20 years ago she managed the accounts departments for a number of companies in the South East. She is a Fellow member of the Institute of Certified Bookkeepers (ICB) and is the Branch Chair for East Sussex and a member of the Advisory Council. Clare Bolt works for the BBC’s Digital Communications team, promoting the BBC’s content through digital channels and social media. She has worked for the corporation since 2002, having read English literature at Southampton University and completed a post-graduate qualification in journalism. Clare is Convener of the charity’s Grants Committee and has raised money for the charity running the annual 10km race for four years. Clare lives in north London with her partner (who works for BBC World News) and her young son. Professor Sarah Annes Brown started her career at the University of Bristol where she completed a Ph.D. on the Renaissance reception of Ovid. She has since taught at the universities of Central England, St Andrews, De Montfort and Cambridge. She took up her present position as Professor of English Literature at Anglia Ruskin University in 2006. Sarah has published widely on the influence of classical texts on English literature and her most recent book is a study of the relationship between allusion and the uncanny published by Manchester University Press. Sarah warmly supports Children of Peace and is delighted to be associated with such a positive and inspirational charity. After working as a publicist for the non-fiction publisher, I.B.Tauris, for four years Antonia decided to embark on a change of career to become a primary school teacher this year. She currently works as a teacher’s assistant at St Joseph’s RC Primary School in London and will be starting a teacher training course at Roehampton University in September. Dominic Martin has been in journalism for more than 12 years. Currently working freelance in the magazine industry, he has worked for the likes of BBC World Service, BBC World News, Sky, The Guardian, Lonely Planet, BBC Good Food and Tatler. He has been an active volunteer for Children of Peace since its foundation and has organised a number of fundraising events for the charity, including the Stand-up for Peace comedy nights and annual 10k running teams. Having read Politics at Bristol University, Dominic takes a keen interest in Middle Eastern affairs and wrote his dissertation on the Israeli-Palestinian conflict. Dominic is married with a young daughter and son, and lives in Brighton. Trevor Mepham lives in Somerset with his wife. They have four children. After studying International Relations and European Studies at Keele, Bruges and Aberystwyth, he trained to become a Steiner teacher. He worked as a Class Teacher at the South Devon Steiner School, Dartington, and then as an adviser to Steiner schools in the UK. He spent 12 years at the University of Plymouth, working in the Faculty of Education as Co-Director of the Steiner BA Programme. He also served on the Board of the European Council for Steiner Schools before becoming Principal at the Steiner Academy Hereford – the first publicly-funded Steiner school in the UK. He is a Fellow of the Royal Society of Arts and currently works as Principal of the Steiner Academy Frome, the first Steiner Free School in England. Jessica has a keen interest in child welfare and conflict resolution, and is currently writing a philosophy PhD on International Relations theory at the University of East Anglia. She first became involved with Children of Peace in September 2010 after raising funds for the charity to mark the UN’s International Day of Peace. Jessica has previously worked in a range of professions in both the public and private sector, the most recent being Child Employment Officer for the Royal Borough of Kingston upon Thames. Jessica is married and lives near Portsmouth.